Anybody who wishes to book a table - hedgehog or non-hedgehog related items, table fee will be £ 10.00 with all profits from the tables and entry fee being donated to Tamworth Bird and Hedgehog Rescue. I am really pleased to announce that Melissa and the team from Zoo2U will be attending with the Meerkats and some of their other animals. Apart from our hedgehogs, no other animals will be allowed into the venue. Stalls attending will be updated as and when bookings are confirmed. Something for the little ones - Children's Corner - prizes given for the relevant age catagories on the day - best coloured in hedgehog picture and more - templates provided. Information Corner - I would like to tackle the issue of Spaying a female hedgehog and how this can save your hedgehog's life and what to expect after the operation. Also, I want to address what to expect from a Rescue Hedgehog - Melanie and Fiona have very kindly agreed to share their experiences with us and I shall be on hand to discuss how I place the rescues that come my way with the right permanent home or long term foster home. Keep any eye out for further updates. Going on my calender! did you get my write up ok Helen? I forgot to ask. I'll send again if you didn't. 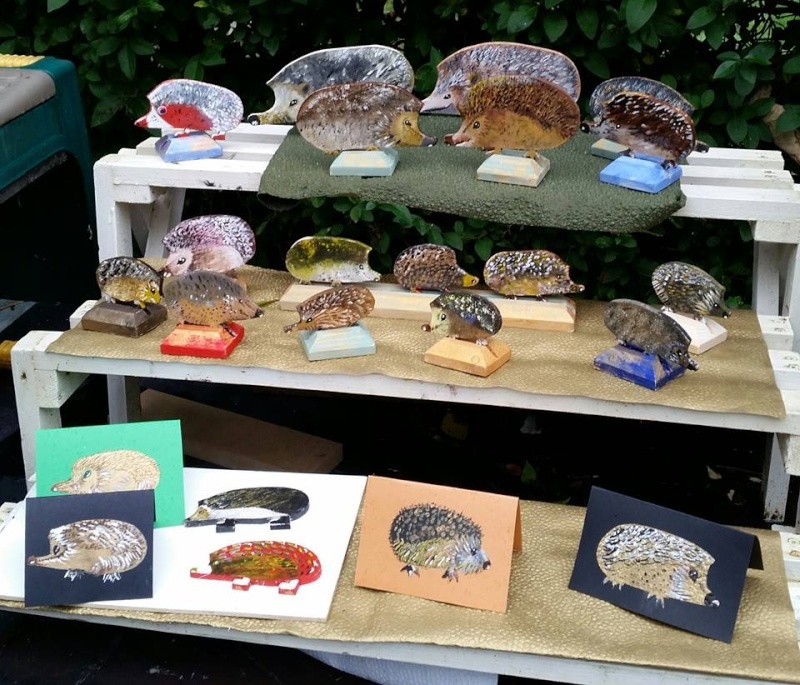 I'll be having my usual table, but am hoping to have lots of new hedgehog goodies to sell. Working on a few new 'makes', so fingers crossed they will work out. There will be pole dancing with a difference but this Nellie will not be doing it - pole would collapse!!! I shall refrain from weighing Jasmine!! Helen are there any tables left to book? If so can I reserve one and I will pop money over to you? Available at the Northwich Show.